Home . Shopping Guides.How do I upgrade my Hi-Fi equipment?. How do I upgrade my turntable? How do I upgrade my turntable? Read maPlatine.com’s technical advice on how to upgrade your Hi-Fi system, and specifically your turntable. All Hi-Fi-savvy audiophiles are constantly on the hunt for excellent sound quality, and it is completely normal to look into upgrading your Hi-Fi system. There are many changes you can make to your turntable, and to your Hi-Fi system more generally, to improve the quality of the sound it produces. After receiving a lot of your questions, we decided to create a shopping guide with our recommendations for solutions and products that will enhance and bump up the performance of your turntable. Replacing your cartridge is the very first port of call for a turntable upgrade. In the world of Hi-Fi, the source reigns supreme; it is the most important part of your Hi-Fi system. The source of your analogue system is, of course, your Hi-Fi cartridge, as its jobs is to dig into the depths of the record grooves to draw out the beauty of the music. Our website offers a wide selection of cartridges, so we’re willing to bet that we can find you the perfect fit! The quality of a cartridge will largely depend on the shape of its stylus, which will be either conical, elliptical or Shibata. The latter shape is the best of them all - it is the most effective at adapting to the grooves of your LPs and will therefore bring out the maximum amount of detail during playback. For more information about the different stylus shapes, take a look at our dedicated technical sheet HERE. The type of cartridge you use on your turntable’s tonearm will depend on your budget, phono preamp (MM or MC), musical tastes and tonearm properties. For more advice on how to choose the right cartridge, please feel free to contact our customer service department by email (contact@maplatine.com). Turntable brand Rega has a variety of MM and MC cartridges to choose from to upgrade your record player. If you have a Rega turntable and are looking to replace your cartridge with a product from another brand, it can be done, but you will need to make sure you add a spacer to your order! A spacer is an accessory that allows you to raise the vertical tracking angle (VTA) of your REGA turntable tonearm by a few millimetres. This will enable you to install a cartridge that is more ‘high-end’ than the standard Rega ones, such as an Ortofon, Grado, or Sumiko cartridge. As the height of Rega tonearms is not designed to be adjusted, a spacer is an absolutely essential tool for a cartridge upgrade. The right spacer for you will vary depending on the type of tonearm you have. For example, the Rega 2mm spacer is designed specifically for the Rega RP8 and RP10 turntables, which are fitted with the RB808 and RB2000 tonearms respectively. Our website offers all spacers currently on the market, so that you can find the best fit for your record player tonearm. So now you understand why a spacer is so useful if you're looking to invest in a more powerful cartridge than a Rega. And it couldn’t be simpler to install - just insert it between the base of the tonearm and the turntable, as demonstrated in our video below. If your turntable is fitted with an MM cartridge (moving magnet), it is easy to replace the styli without having to buy a full cartridge. So if you're happy with your current cartridge but the stylus is reaching the end of its life, you do have the option of only buying a new stylus. This is definitely the most simple and cost-effective solution. And if you own a cartridge from Ortofon's 2M series, replacing your stylus is an even more advantageous option, because these products allow you to install a high-end stylus in a more affordable cartridge. For example, the first cartridge in this product line, the 2M Red cartridge, is compatible with both the 2M Red stylus, of course, and the 2M Blue stylus. The same is true of the 2M Bronze cartridge, which can be fitted with the 2M Black stylus. However, it should be noted that the same trick doesn’t work for MC cartridges (moving coil). However, if you do have an MC cartridge and are looking to upgrade your turntable by replacing it, it’s worth knowing that some brands offer a part-exchange service for cartridges. And that includes us! You can do this on our website using a voucher. For more information, please feel free to read our blog post on the subject: HERE. Assembling a cartridge is a delicate operation, and there are several accessories designed to help you with the process. For example, the Rega alignment protractor is a really useful, low-cost tool for aligning your cartridge onto a Rega tonearm. For information about compatibility with Rega tonearms, please read the protractor's technical specifications HERE. Our personal preference is the highly effective Tonar alignment protractor, but if your budget allows we recommend the Align It by Pro-Ject. 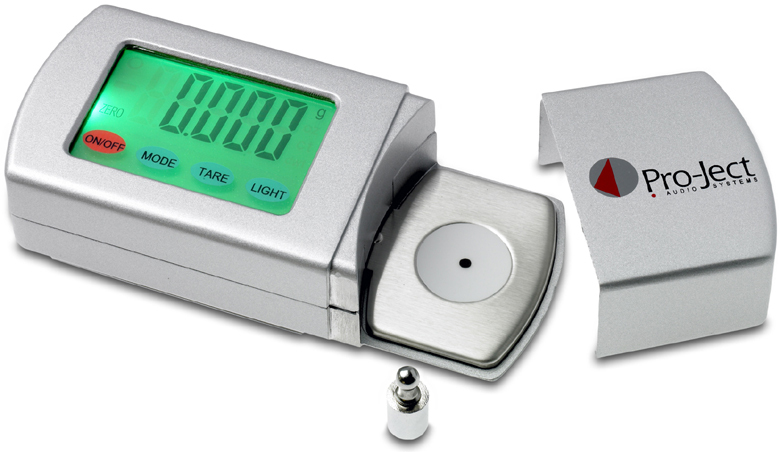 A stylus force gauge is a vital tool for correctly installing your cartridge and lengthening its service life, because it measures the tracking force of your stylus. If your cartridge is not set up correctly, or if its tracking force is not properly observed, it will either be too heavy and push down too far into the grooves, significantly damaging the stylus, or it will not push down hard enough into the record grooves and significantly affect the sound quality. 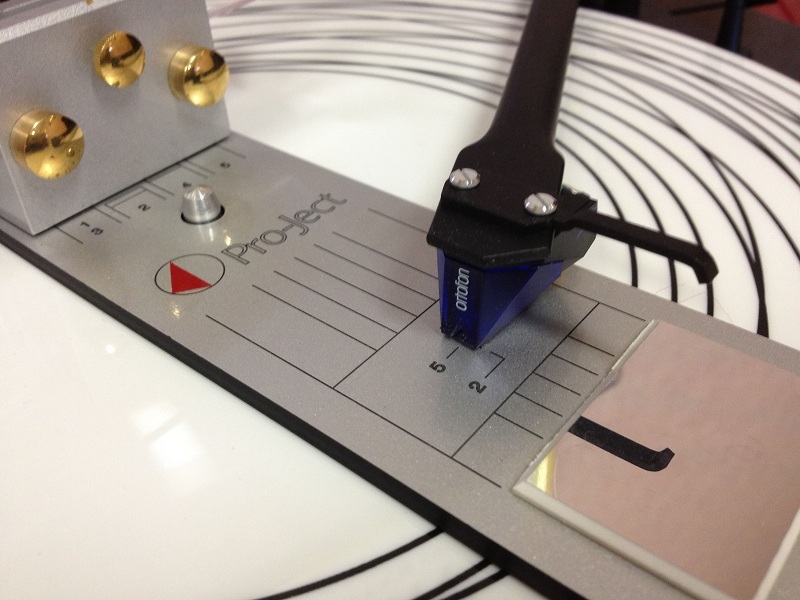 We recommend the Analogis electronic tracking force gauge or the Pro-Ject Measure It 2. 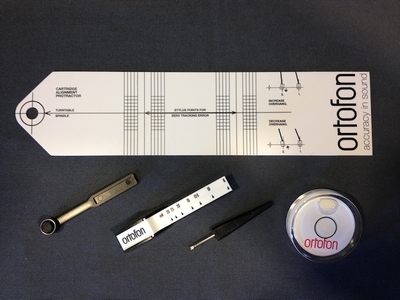 The Ortofon Adjustment Kit is a comprehensive, low-cost selection of tools for setting up your cartridge. Upgrading your turntable platter can give your system a real boost and have a significant effect on the overall sound quality. For example, the Pro-Ject Acryl It E platter is perfect for upgrading entry-level turntables made by the Austrian brand, such as the Elemental, or the Essential II USB, as it can really boost their performance. The Acryl It E significantly improves sound quality - you'll notice a huge leap in transparency and dynamic range. It enhances the machine both aesthetically and technically. It also completely removes the need for a conventional felt mat, which tends to stick to the record. For more high-end Pro-Ject turntables (Debut Carbon, Xpression, etc. ), we recommend the Acryl It. 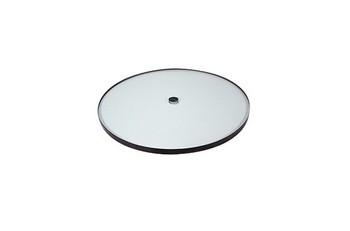 You could also opt for a glass platter, such as the Rega glass turntable platter. 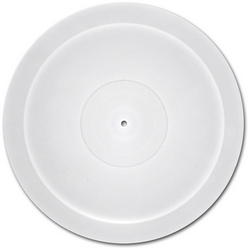 However, it should be noted that this product is designed specifically for Rega record players. There are several reasons why glass platters are a great option for your turntable. Like acrylic platters, they improve the clarity of the music and are aesthetically pleasing. In addition, glass platters are heavier than acrylic platters, which increases the inertia of the turntable when a record is playing. This reduces strain on the motor and belt, so they wear out less quickly (‘All audiophiles prioritise the slow and steady’ - Robert Suchy). However, a platter mat must still be used with glass platters. You can also replace your platter if your system uses a VPI turntable, for example. In this price range, the key attributes you should be looking for are mass and density. For example, the Aries 3 Super Platter will increase the density of your Aries 3 or Scoutmaster, which will, among other benefits, increase the ability of your turntable to absorb vibrations from the surrounding environment (motor, etc.). If you want to improve your turntable, replacing the platter mat is a good place to start, as it can make a significant difference to the quality of your Hi-Fi system. There are many different platter mats made from a plethora of different materials to choose from. There are platter mats made out of synthetic rubber, felt, cork, leather, and even vinyl or composite materials! They help to prevent resonance caused by the platter and protect the records. Most turntables are fitted as standard with a platter mat made of felt or rubber, but these are not the optimal materials for playing your records. We recommend choosing a platter mat which absorbs vibrations more effectively and produces a more neutral sound quality. For example, a cork platter mat is an inexpensive and highly effective option. Cork works particularly well because it absorbs vibrations from the surrounding environment without negatively affecting the dynamic range. 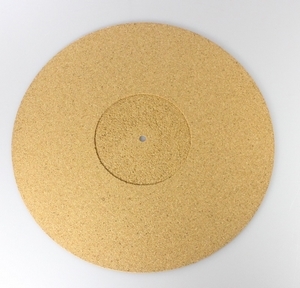 If you do opt for cork, we recommend the Thorens cork platter mat. If you’re on a slightly higher budget, leather mats, such as the Analogis Mat 6, are definitely preferable to felt. There really is no comparison. The main difference is that leather mats make far smoother contact with the platter and dampen resonance. They also produce less static and therefore stick less to records. When paired with a high quality platter, the sound they produce is much clearer and cleaner. If you're looking to upgrade the sound quality of your turntable, leather platter mats are a good compromise and offer indisputable value for money. Our first choice would be the Achromat platter mat by Funk Firm. Not only will the colourful design inject your turntable with a touch of originality, it will also work wonders on the sound quality. It is made from a composite material which significantly dampens vibrations and reduces wear and tear of the stylus. The improvement it has on the precision of playback is also immediately noticeable. Speed controllers are a practically indispensable aspect of any Hi-Fi system upgrade. They allow you to change the playback speed of your turntable and switch between 33? and 45 RPM a lot more easily. This spares you from having to change the position of the belt every time you play a record. Another advantage of the speed controller is that it stabilises the rotation speed of your turntable platter. You will also notice that it improves the precision of the sound quality and reduces disturbances that may disrupt playback. However, it should be noted that a speed controller is not compatible with all turntables, particularly those with a DC motor. If you're not sure about the compatibility of your turntable with a speed controller, please feel free to contact our customer service department. Record clamps maintain and flatten records against the turntable platter. They work by screwing onto the turntable spindle in order to stabilise the record. The seamless contact of the record with the platter results in more precise playback with more dynamic range. The main advantage of a record clamp is that it enables you to play records that have been warped. However, there are some things you need to know! Some record clamps, such as the Audio Technica Stabilizer AT 618, are not compatible with suspended turntables and cannot be used with felt platter mats. Other clamps slide directly onto the platter spindle, as opposed to needing to be screwed on, such as the VPI HR-X Clamp. 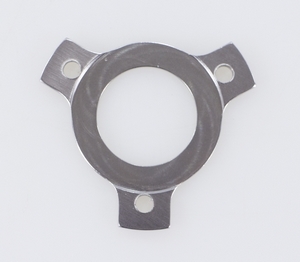 This particular clamp can also be used on turntables made by brands other than VPI. You can browse a wide selection of record clamps and all the information you need about them HERE! Please feel free to get in touch with our technicians if you have any questions about the compatibility of your record player with our selection of record clamps. We hope that this detailed guide will help you with your turntable upgrades. If you have any more questions, we are on hand to help you via email (contact@maplatine.com).